Engage in fast-paced bone shattering 4-player Kaiju combat. Show no mercy to the other mini-kaiju battling for supremacy as you shatter their bones and attack their insecurities to become a full-fledged Kaiju. Will you be the apex kaiju or just become another kaiju's lunch. You know, after you shatter their bones and stuff. 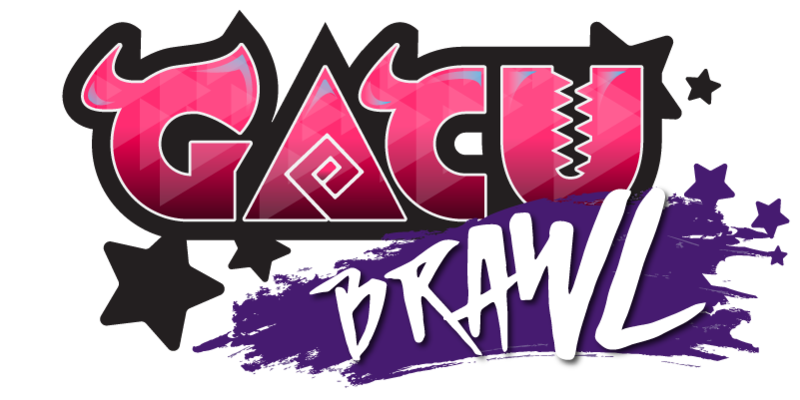 Gacu Brawl was created during a 10 day development cycle for Gacucon. Due to its very short development time, there are bugs, and certain things may not be in the game. Looking at you, pause menu! If the game bugs out, best bet is to restart. Only 2-4 players are able to get the match going. Single player not allowed. Game only supports game pads, no keyboards. Each character is tied to a specific controller: Red 1, yellow 2, blue 3 purple 4. if you try to do something like this Red and Blue it will default to Red and Yellow because of how controller pairing is currently being done. Sometimes there's a rare bug of stunned rates causing you to stay perma stunned. Doesn't happen often but I've seen it happen 1 out of 10 play tests. Goes away after getting hit or knocked out. Fireball will launch you in opposite direction sometimes. If you're hit by the fireball and you are still on stage, you might fall through stage. Camera wonks out every now and then.